If you have an open space outside and would like to convert it into a comfortable seating area, the first and most important thing that you will need to think about is installing some sort of a roofing system. There’s no need to get a conventional roof built overhead, and a better option would be to go for a specialised roof system that’s designed for outdoor spaces and patios. These roof systems are retractable and are made from very durable and lightweight materials that can easily withstand the harsh atmospheric elements without sustaining any sort of damage. 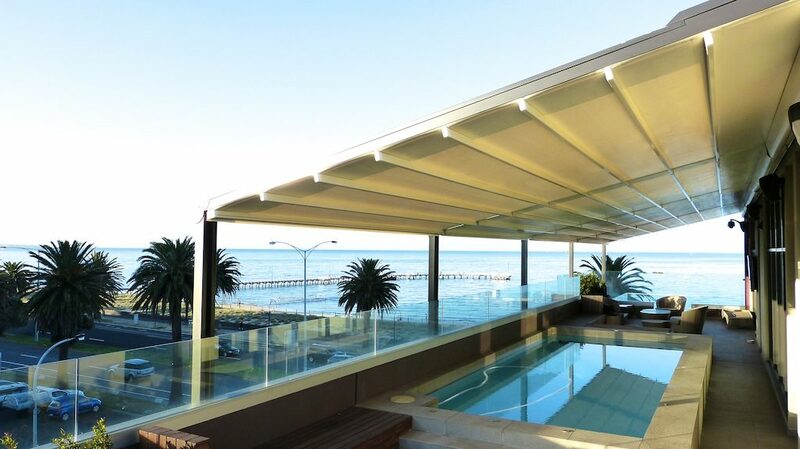 However, installing retractable roof systems in Melbourne is not as simple as it sounds. You will need to be careful when making a selection, since there are so many options available these days. There are numerous companies that offer these systems along with the installation of the mechanism on which the roof system operates. The roofing system gives you the option of staying protected from the sun, though you can also retract the roof, especially if you want to enjoy the open weather. The first and most important step is to set an appointment with the company for an initial consultation. The company will send over a team on a specified date and time to discuss your needs and determine whether the space is adequate for installing the roofing system or not. The first consultation is completely free, and there’s no obligation for you to proceed further with the company’s services. However, it’s important that you get a quote from the company for the costs of installation so that you can compare the prices from different providers. These roofing systems are generally quite versatile and can be installed on a variety of aluminium or timber structures. You can also get a free standing structural frame erected on the patio for installing the roofing system. Installing a roofing system outside might be a bit costly, but it certainly offers a variety of benefits that more than justify the initial outlay. The roofing system provides considerable protection from the heat as well as UV rays, thus creating a pleasant environment outdoors. The profiles of the roof as well as the components used are architecturally designed and can be coloured to match the exterior of your house or your building. The construction of the roofing system is also done through very high quality roofing materials and very robust components are used so that the roofing system lasts you longer. The best part is that the roofing systems can be customised to match the design of your home, thus making it a suitable choice for your place. Even if you decide to sell your property in the next few years, the place will go off for a much higher value than the market rate because of the value addition of the roofing system to cover the patio.